The Club offers a variety of expert massage and spa services to allow you to relax and renew. Our new Beard Facial is designed with the bearded man in mind. Facial hair requires serious care to look good and be healthy. The beard facial is ideal for all skin types. It purifies your skin and conditions facial hair, leaving it feeling soft, strong and looking its best. Classic favorite is a light to moderate pressure massage with long flowing movements for total relaxation. Increased circulation and relief of muscle tension are improved. Sessions: 30, 60, 90 minutes. Forearms and elbows are used for a deep pressure effect, as well as trigger point work and breathing techniques. Perfect for stress, knots and tight muscles. Based on a system of zones and reflex areas that reflect an image of the body on the feet with a premise that such work effects a physical change in the body. Anti-Aging Facial: This is the ultimate in skin therapy for anti-aging, tired, dull or dehydrated skin. This treatment will leave your skin noticeably firmer, smoother, brighter, refreshed and revived. Aroma Peel: Experience our natural alternative to harsh glycolic chemical peels. This mild, but effective treatment promotes healthy skin turnover to restore the natural clarity and radiance of your skin. CCAC Signature Facial: A customized facial for all you skin needs. Deep pore cleansing, exfoliation, extractions, masque, moisturizing treatment and a relaxing massage to complete this unique pampering experience. Acne/Teen Facial: This targeted facial focuses on all over deep pore cleaning and oil control. Look and feel better with clear, clean skin and start fighting off future breakouts. Basic Facial: Indulge yourself for 30 minutes with this refreshing mini-facial. This treatment will have your skin brighter and feeling refreshed instantly. Rosacea Facial: Calm inflamed skin, dilated capillaries, red patches and occasional acne with this hydrotherapy facial that utilizes hot and old therapy to alleviate redness and discomfort. 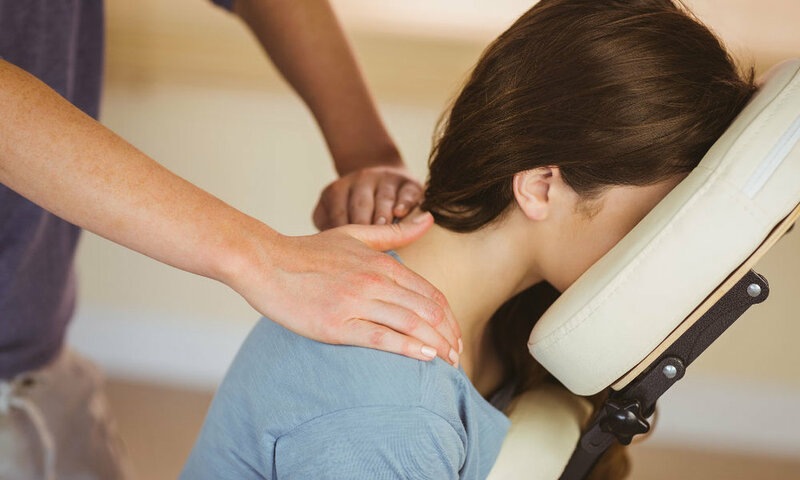 Back Facial: A concise treatment aimed at cleansing and healing your back from blackheads, breakouts, acne, and nodules. Experience this relaxing, healthy facial to see and feel the difference. Beard Facial: Designed with the bearded man in mind. Facial hair requires serious care to look good and be healthy. Ideal for all skin types. It purifies your skin and conditions facial hair, leaving it feeling soft, strong and looking its best. Hot Stone Massage: Hot Stone Massage is a specialty massage where the therapist uses smooth heated stones, whether as an extension of their hands, or by placing them on the body while they massage other parts of the body. The heat can be both deeply relaxing and help warm up tight muscles so the therapist can work more deeply and quickly. Session: 75 minutes. Microdermabrasion treatments turn back the clock to reduce the signs of aging, fine lines, wrinkles, brown spots and sun damage by exfoliating the skin and stimulating production of new skin cells and collagen. Your skin will look years younger. Microdermabrasion treatments can be a boost of self confidence by combating acne prone skin, reducing traumatic scars for dormant acne, minimizing pore size and removing excess oils, leaving your skin clean and youthful looking. 1 Session, 70-90 minutes. A type of gentle manipulation that focuses on the lymphatic system of the body. It helps rid the body of toxins and lactic acid. Massaging the scalp and neck stimulates the nerves and blood vessels beneath the skin while calming muscle tension around the head. It can help you breathe easier by soothing allergies and sinus pain. A combination of sports massage techniques that help prevent injury and accelerate muscle recovery allowing you to resume your intense workout. This is a quick 10 minute chair massage that will help open back muscles, relieve strain on the neck and improve circulation. This invigorating treatment combines sugar with a custom blend of essential oils to exfoliate the skin making a slick, glowing finish. This is followed with moisturizing lotion to nourish and soften. Tinting: Tinting is a color service using a temporary dye to immediately enhance your eyebrows or eyelashes. We offer various colors including, black, graphite, light brown, grey, chestnut and natural brown. Eyelash Lift: Tired of using false eyelashes? Let us WOW you by flipping up and curling your own eyelashes using our advanced eyelash technology. It is a semi-permanent treatment to give your eyelashes a natural curl.